I haven't submitted anything for a long, long time. Well, I guess I'm back. Emm.. what should I say? 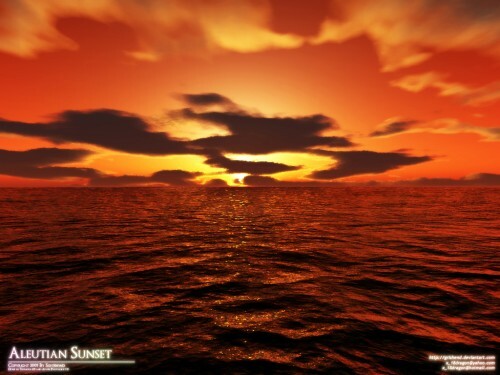 Done by using Terragen. Lately I've been making 3Ds. Comments and critics are greatly appreciated. Okay terragen freak! that's what i like, though im in a quite a strong debate about 3Dmark2006's HDR effect in other forum, naah, skip to that part, you wont understand how hard it is to mimic its HDR effect in 3Ds max and maya since i'm having hard time with the plugin, might as well as give up then. i've seen it. it was quite beautiful but i rather not to use terragen's cloud, it really bad. although you might wanted to remix it with cloud brush since the cloud itself has a really nice shading. speaking of terragen, did you know about the rumor of terragen 2? i rather purged the present terragen and wait patiently while experimenting with the 3Dsmax and the HDR effect until the arrival of terragen 2.